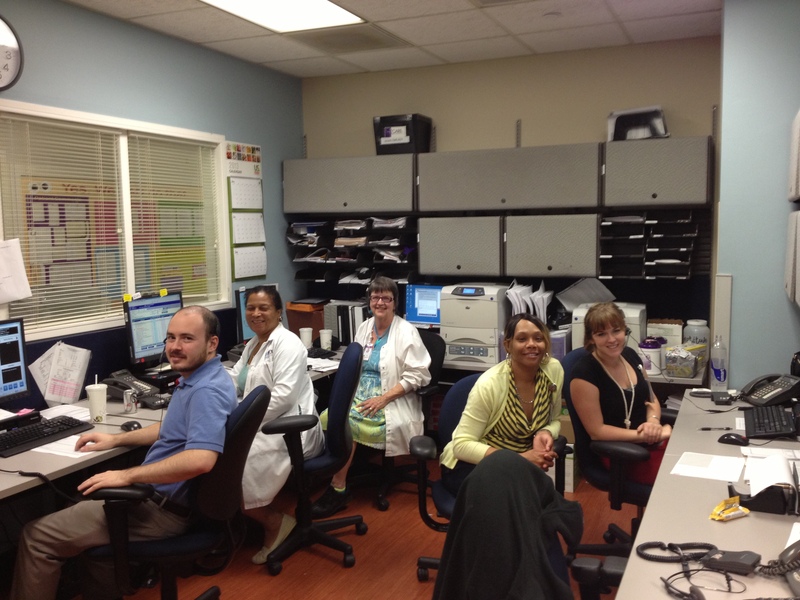 As I pulled up our teams most recent results to our patient satisfaction scores, It was a beautiful site. Nearly half of the patients polled rated the overall food service experience as “excellent.” What a powerful word that is. There is a something very distinct in the difference between a specific experience being very good as opposed to excellent, and in our case, its way more than just the food. There is a small group of team members that have really helped our program reach new heights over the past few years , and they are equally important to achieving excellence without even cooking a thing, they are our Nutrition Therapy Team, also known as Air Traffic Control. They are first ones onsite, arriving at 4:30 am, 365 days a year. They are the ones that get it all started daily. They are the first point of contact with our patients in regards to their dining experience. They are our kitchen command center, our air traffic controllers. Led by our Clinical Nutrition Manager Lyn Haft, the team has really evolved, and are extremely in tune to our whole kitchen operation. At some point, I’ve seen virtually all of them at sometime or another coming on the cooks line to take action, whether it was following up on a promise to a patient, or expediting an order that needs to be sent immediately. In times of need, they will even deliver a meal to a patient if it’s going to make the difference between very good and excellent. Personally, I can remember being a patient here in the hospital, and the excellent service in which I had received while placing my food order. It truly did remind me of the room service dining at one of my previous employers, The Four Seasons Hotel in New York City. It’s very comforting to know that this same conversation that I had with this team is happening nearly 1000 times a day with all of our patients! This is such a positive change from the phase “Dietary” being shouted at you when someone answers the phone like in many other hospitals throughout our country. I can assure you, this is not the case here. Right from the phone call, our team will help our patients navigate around the menu, even explaining cooking methods, ingredient breakdown, and other options available not on the menu. We have many moving parts, but one common goal… excellence. Our entire Nutrition Therapy team demonstrates this daily. 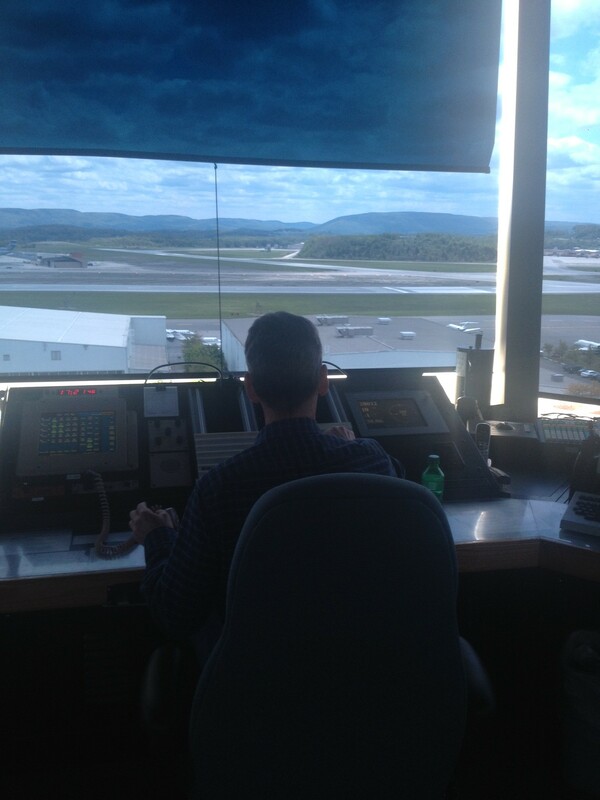 They all play a crucial role in the success of our food program, as does this air traffic controller below, safely guiding these skies in New York. I'm the Executive Chef for Rex Healthcare's Culinary & Nutritional Services team in Raleigh, NC. We are doing some amazing things. We are changing the perception of "Hospital Food"- one meal at a time. This entry was posted in Uncategorized and tagged hospital food. Bookmark the permalink.